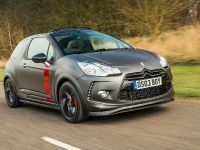 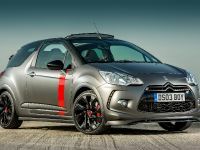 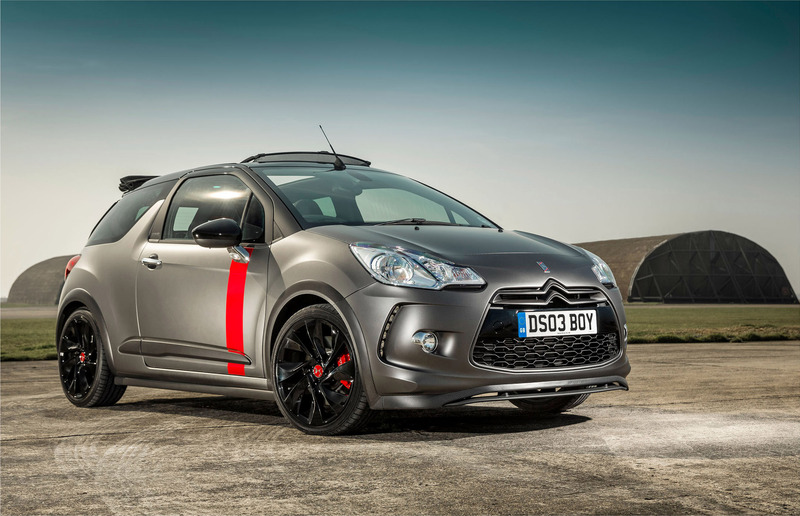 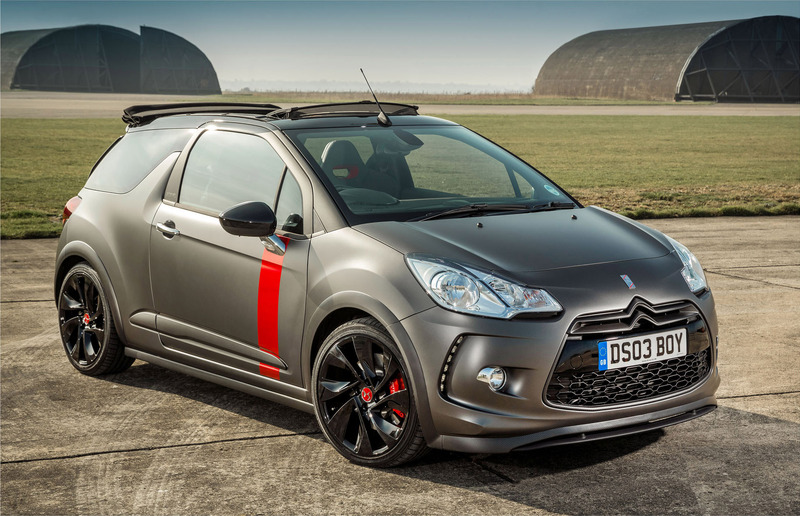 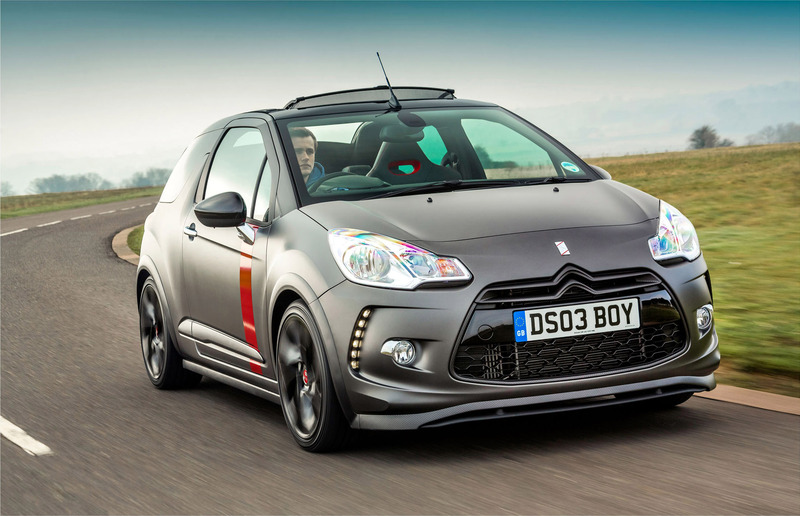 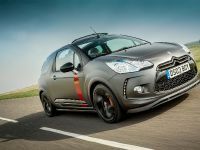 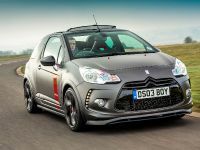 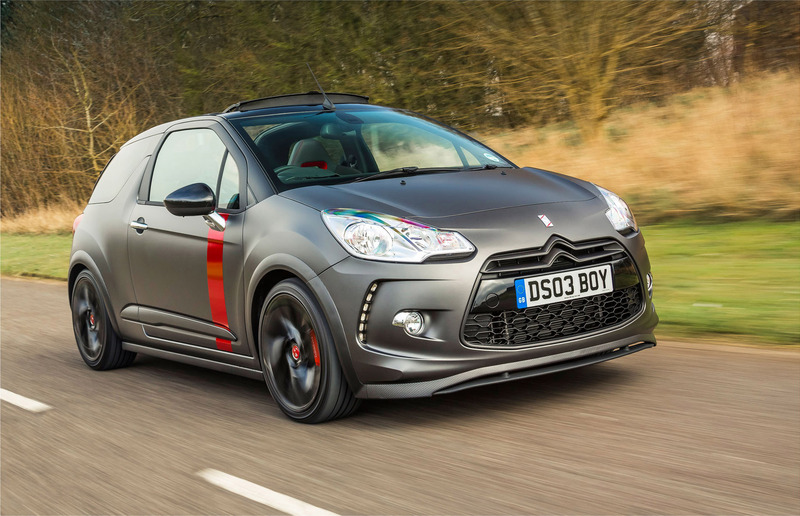 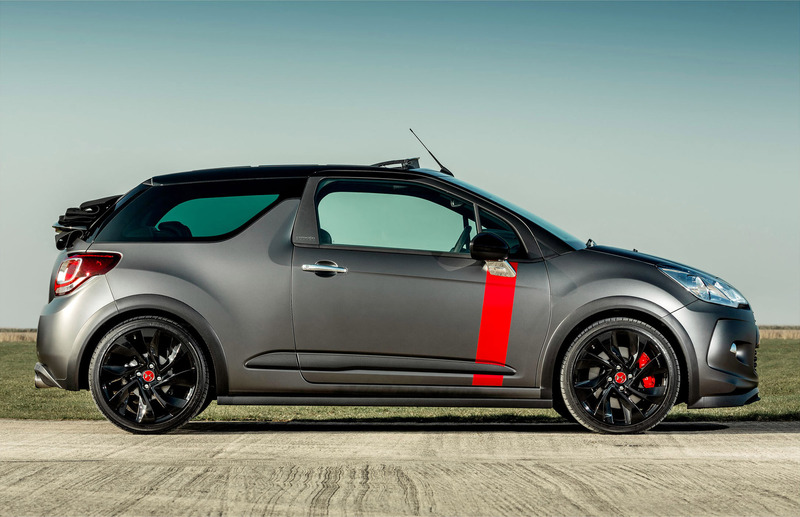 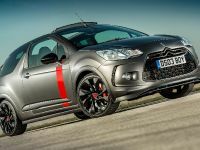 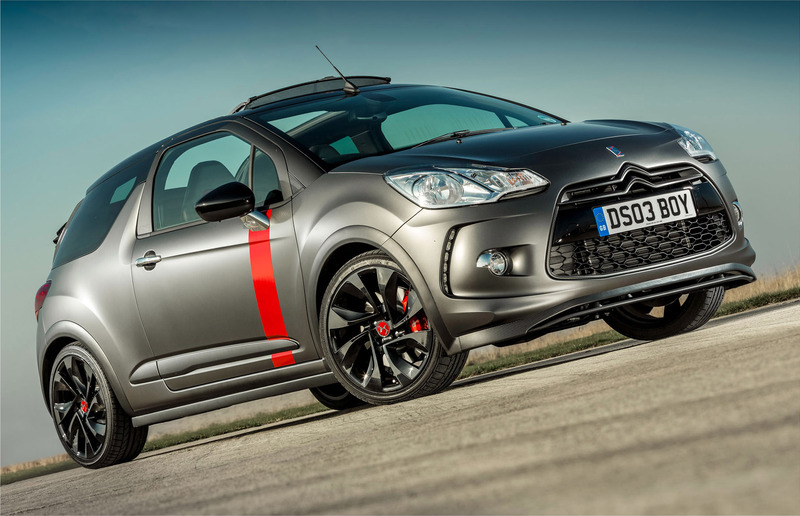 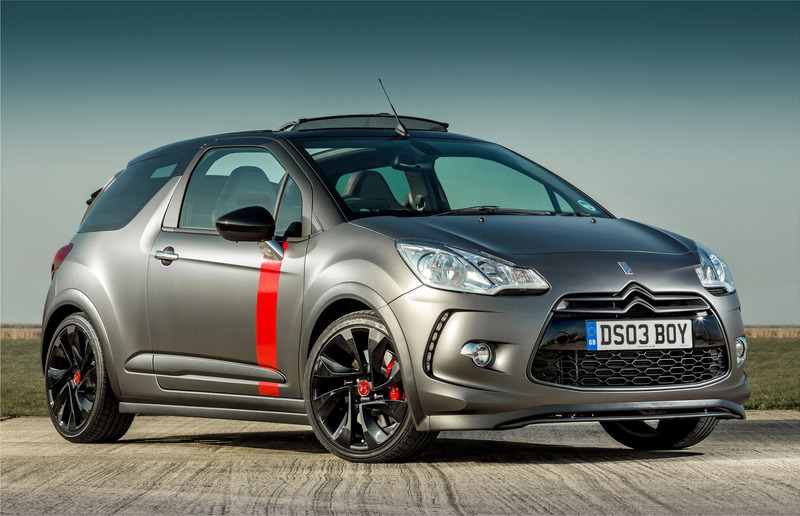 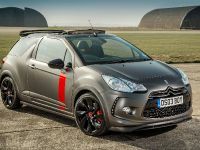 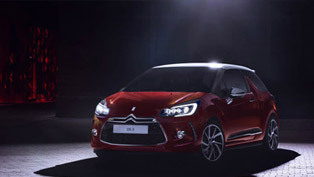 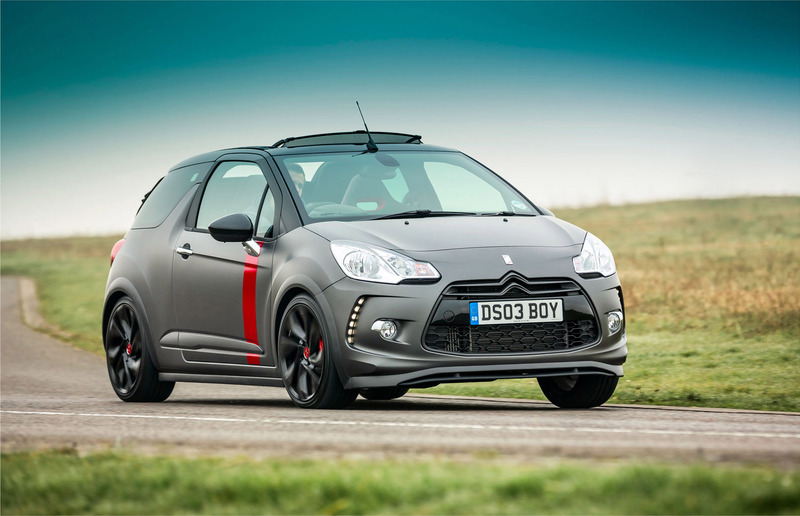 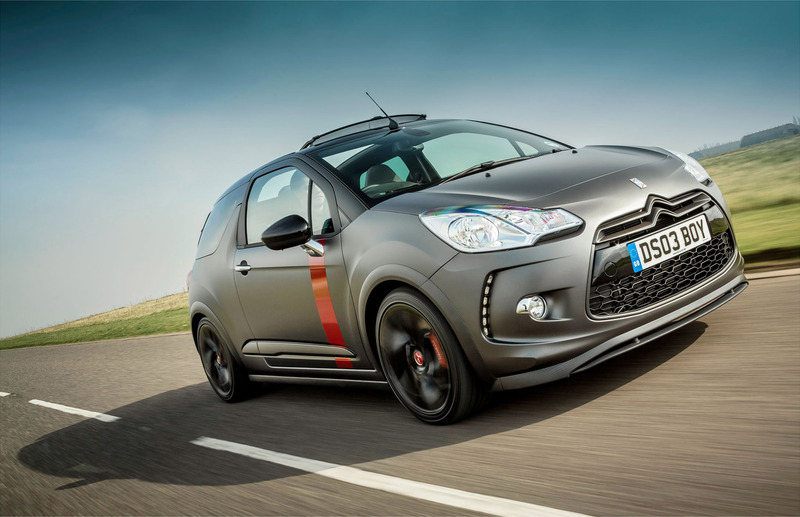 Citroen DS3 Cabrio Racing Ultra Limited Edition is ready to go on sale. 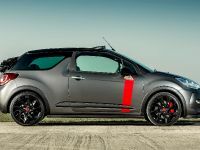 The model has a limited production run of just 100 examples worldwide. 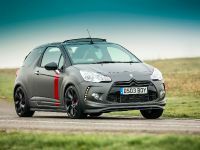 The car has been created with the help of the knowledge gained via Citroen's work on DS3 WRC and DS3 Racing. 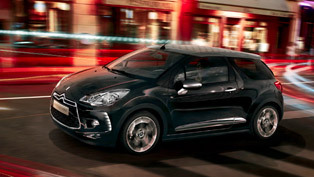 The new DS3 combines sporting performance, dynamic styling and the exclusiveness of cabrio-experience. 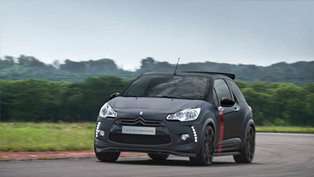 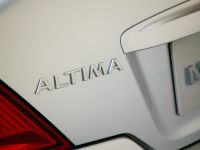 Under its hood, the convertible hides 207 hp (152 kW) four-cylinder 1.6-litre THP engine. 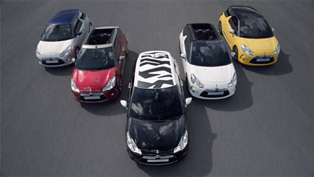 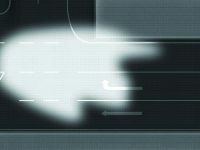 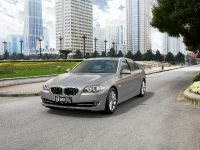 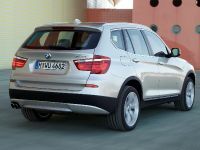 To go further into details, the 0 – 100 km/h sprint is achieved in only 6.5 seconds and, while the top speed is 145 mph. 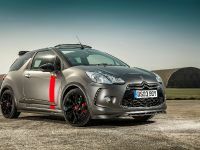 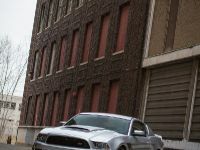 The car was inspired by racing technologies and this is visible through the use of the following technologies and enhancements: re-mapped engine control unit (ECU), modified sports exhaust system and sports silencer, modified turbo system with integrated carbon-trimmed components and specialist motor sports equipment, high-performance suspension with adapted front and rear shock absorbers, widened front and rear tracks by 30mm, lowered height by 15mm, revised steering mapping and modified steering control system, up-rated braking system, including 4-piston racing calipers at the front and Switchable Electronic Stability Control programme (S.ESC). 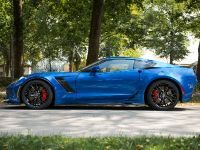 Furthermore, car's visual credentials are also striking not only because of the exclusive paint scheme but also because the carbon fiber used for the details. 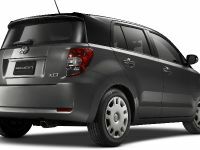 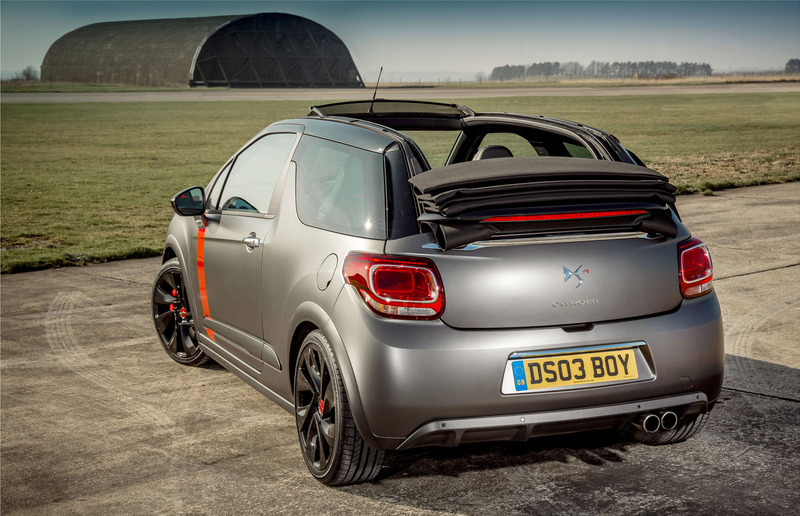 The exterior is decided in Moondark Matte Grey colour, while the roof is in Black fabric. 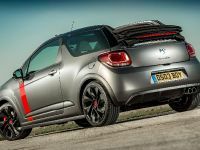 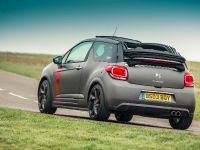 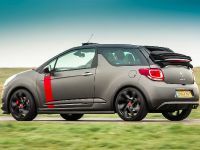 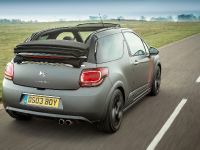 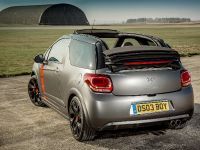 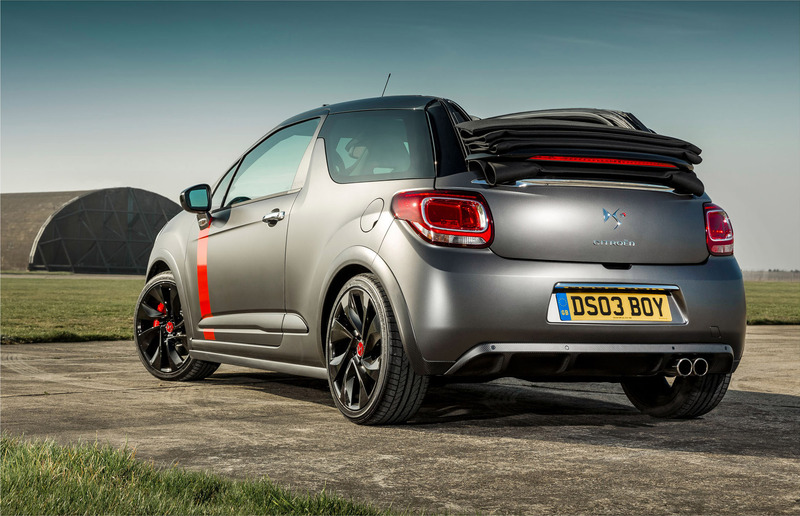 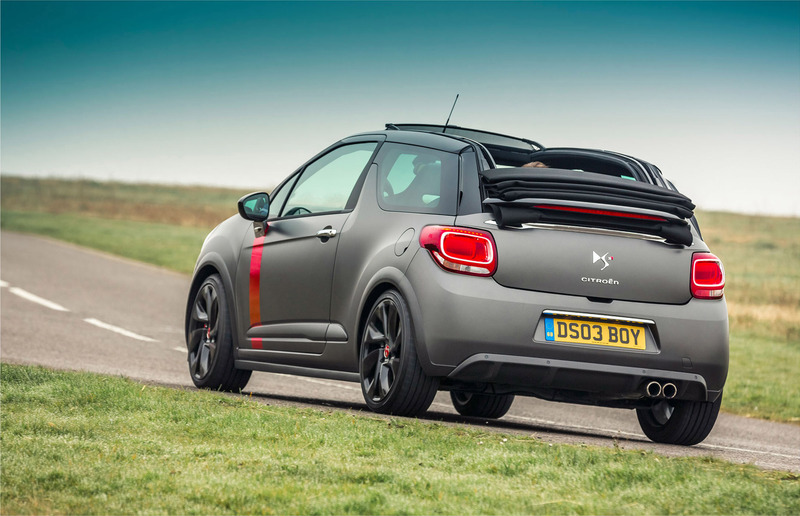 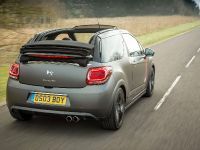 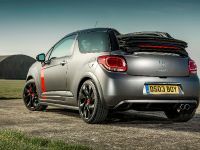 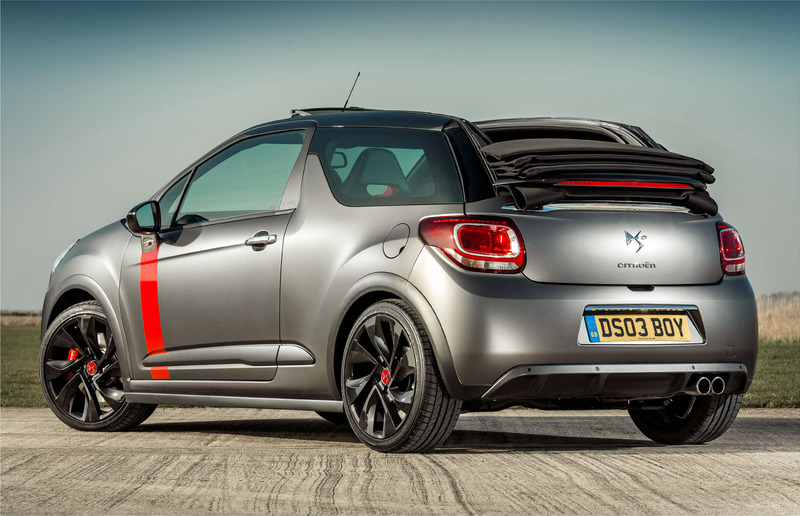 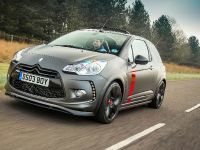 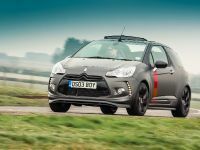 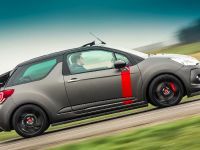 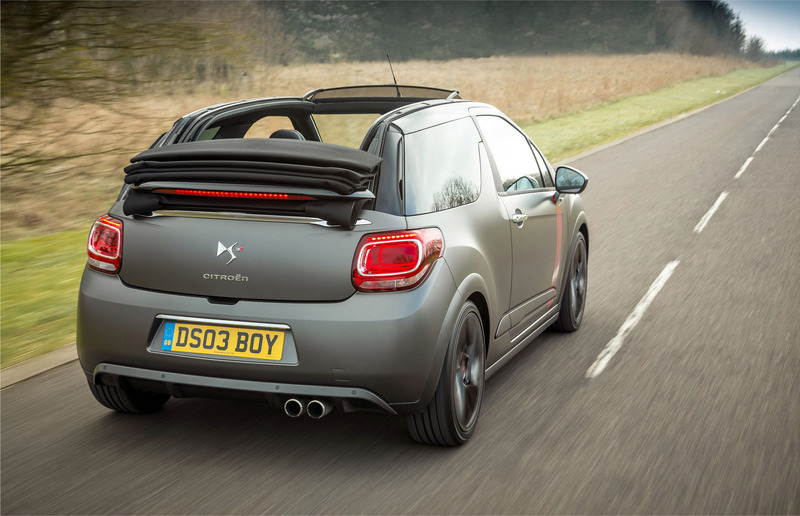 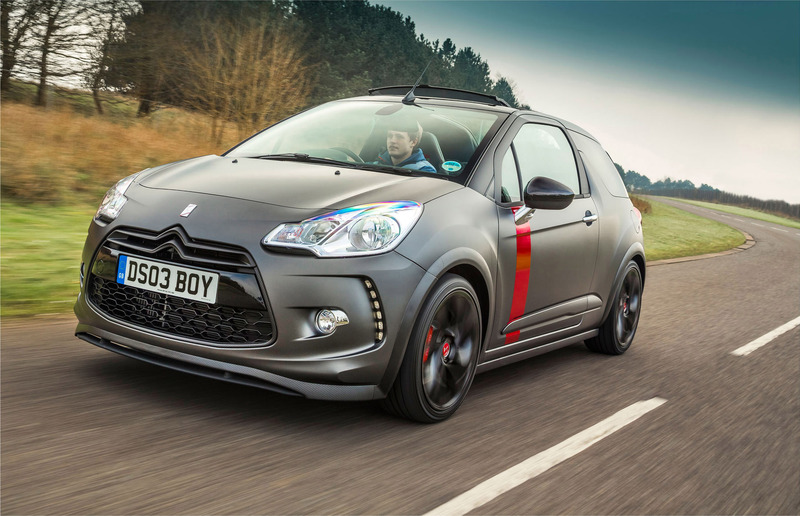 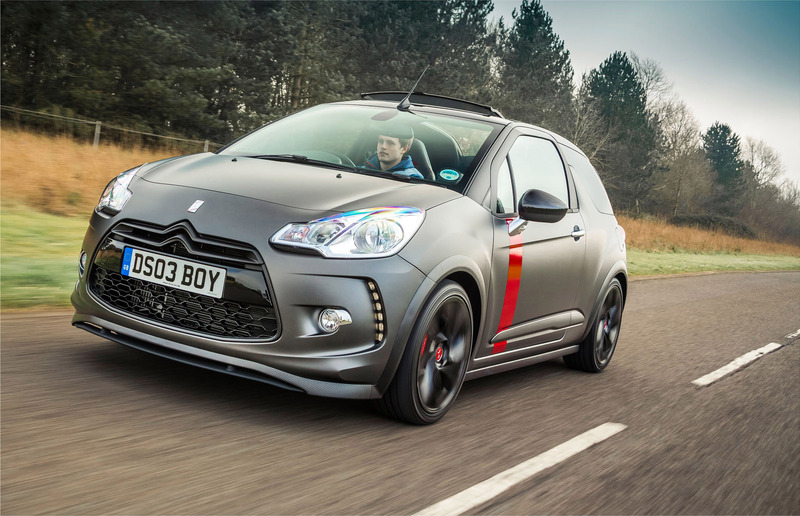 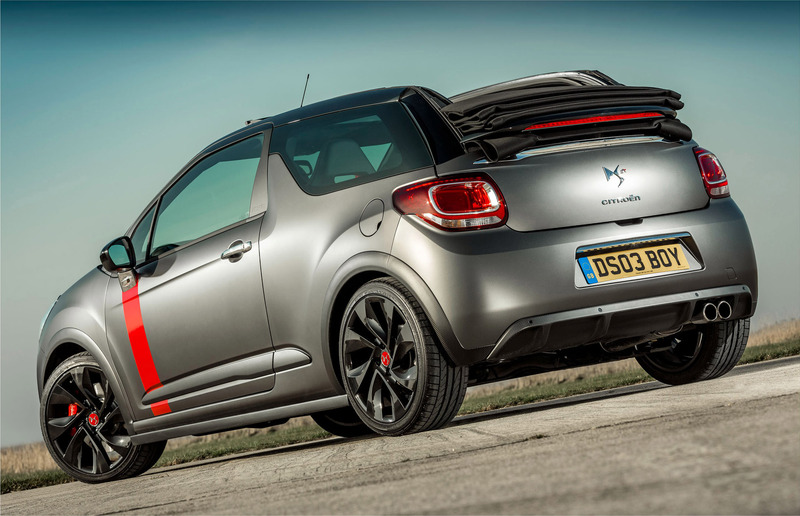 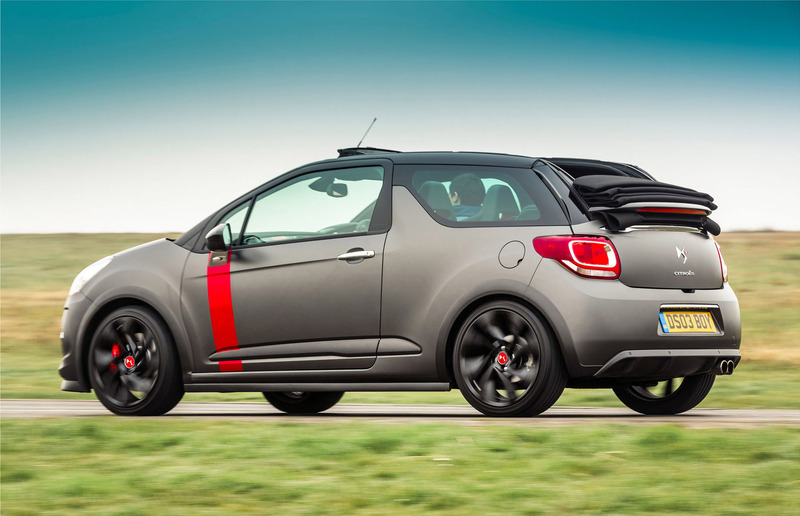 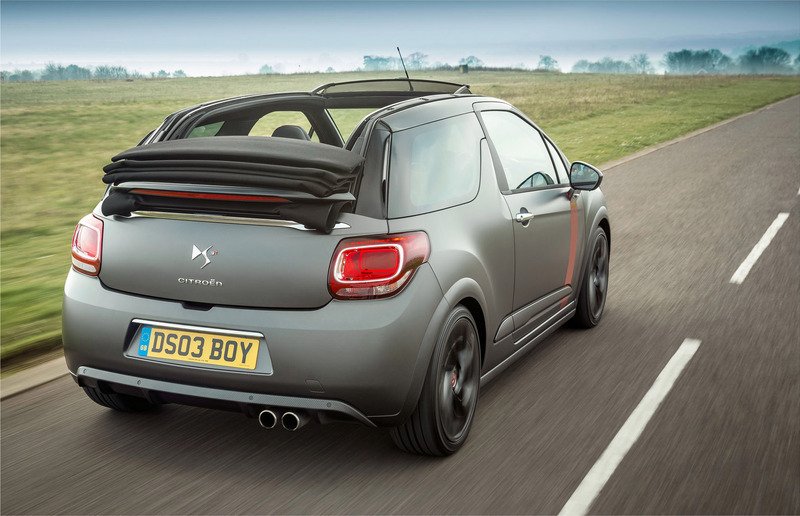 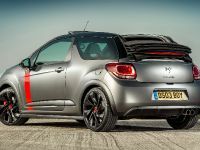 DS3 Cabrio Racing runs on 18-inch Brilliant Black ‘Nemesis' sports alloy wheel, which are complemented by Brilliant Red DS logo centre caps and red painted brake callipers. 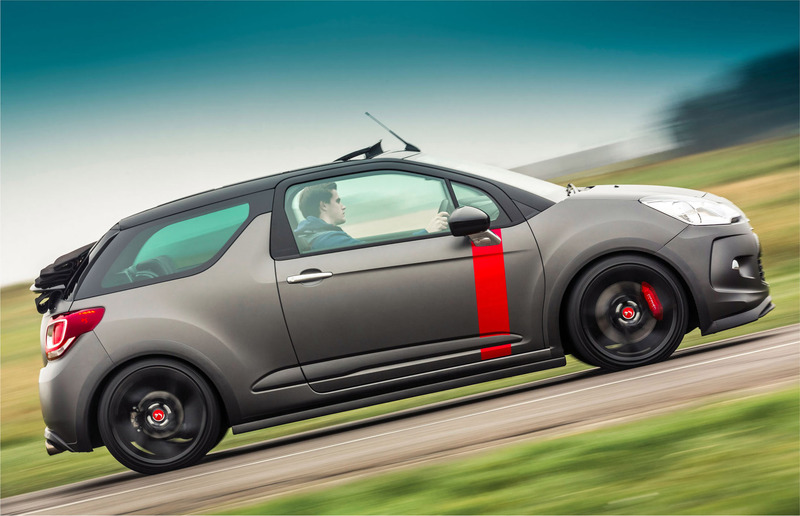 A Brilliant Red vertical stripe down each of the doors rounds out the exterior design treatment. 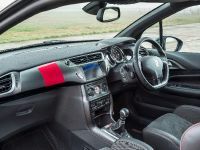 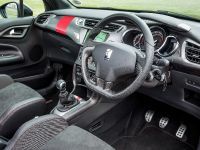 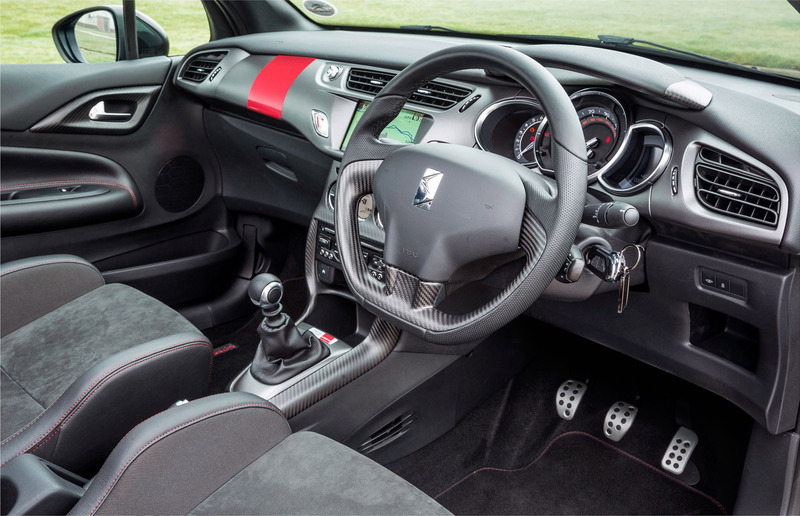 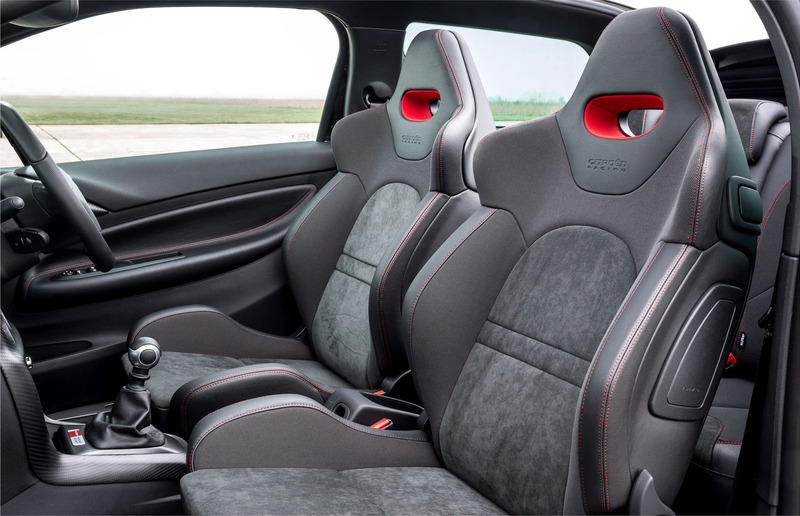 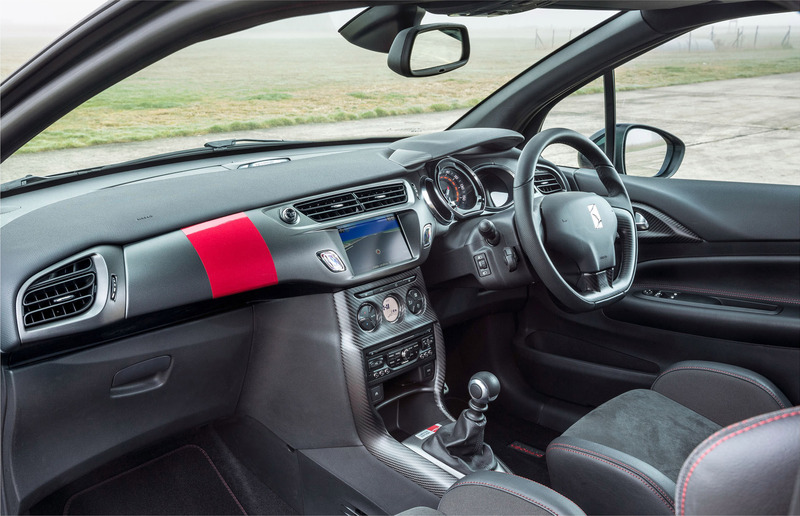 The same exclusive colour scheme continues inside the cabin, where one can see Alcantara trimmed and embossed Citroen Racing seats with Brilliant Red stitching and headrest inserts, Moondark Grey dashboard with Brilliant Red vertical stripe and a numbered plaque in front of the gear lever. 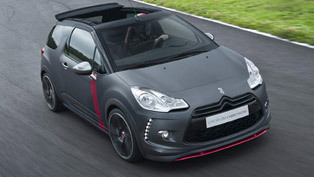 DS3 Cabrio Racing model is built on the basis of DSport trim, which boasts LED daytime running lights, automatic digital air conditioning and rear parking sensors, eMyWay Signature pack with RDS stereo radio/MP3 compatible CD player, Bluetooth system with USB socket and eight speaker HiFi system.